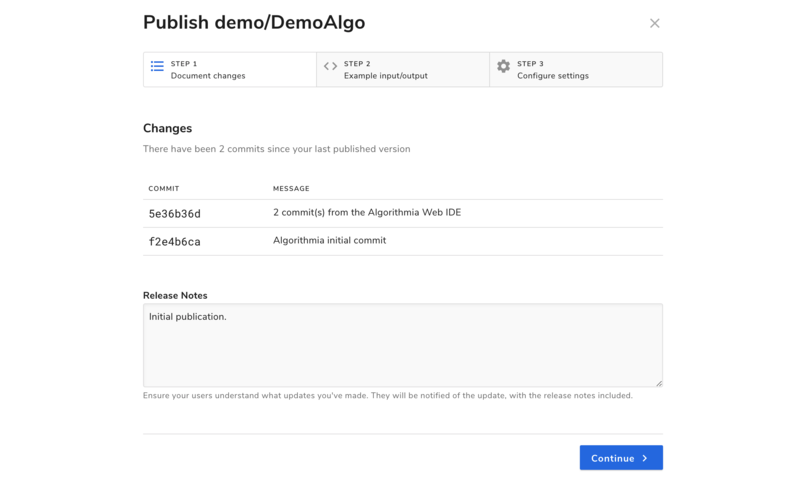 Welcome to deploying your spaCy model on Algorithmia! This guide is designed as an introduction to deploying a spaCy model and publishing an algorithm even if you’ve never used Algorithmia before. If you need to load a trained model from spaCy, check out this example in Spacy, which shows loading a trained model. Particulary check out the dependency file and the top few lines of code to see how to load it. You’ll load a trained spaCy model the same way. If you are using a library that depends on SpaCy creating symlink between en_core_web_md and en, please find an alternative as we don’t support creating that symlink manually. "When Sebastian Thrun started working on self-driving cars at Google in 2007, few people outside of the company took him seriously. I can tell you very senior CEOs of major American car companies would shake my hand and turn away because I wasn’t worth talking to, said Thrun, now the co-founder and CEO of online higher education startup Udacity, in an interview with Recode earlier this week." 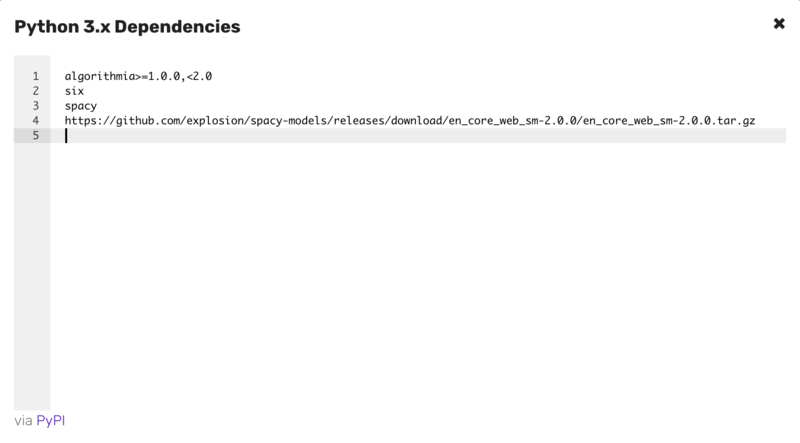 That’s it for hosting your spaCy model on Algorithmia!